What’s more delightful than fish frolicking in a brook or basking in a pond? These paper pieced projects make attractive table decorations. 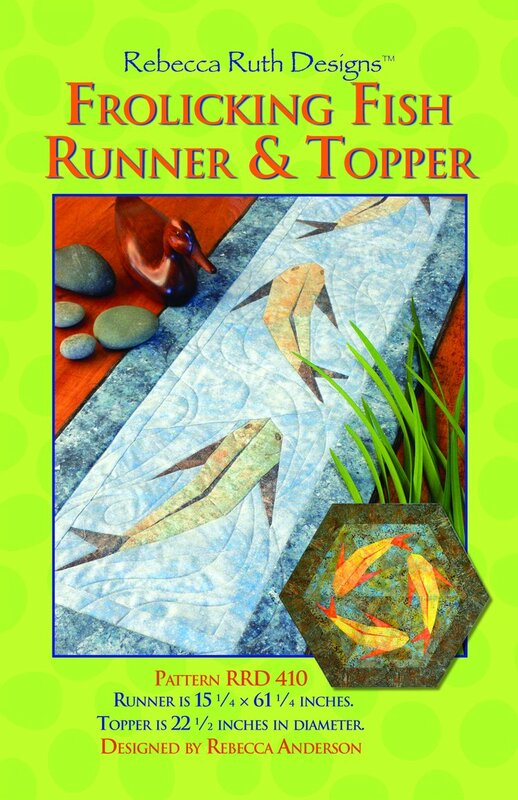 Runner measures 15 1/4" X 61 1/4" and the topper is 22 1/2" in diameter.